Air pollution is a big problem in the city. In fact, Somerville has some of the highest rates of lung cancer and heart attack deaths in the state, and some researchers think that’s partly due to poor air quality caused by highways. The Somerville Transportation Equity Partnership, a group of concerned Somervillians, has partnered with Tufts University to devise and implement a study of air quality in neighborhoods just off major highways in Somerville. It is thought that the added pollution from passing cars negatively affects the residents’ cardiovascular health. Do “ultrafine particles” from combustion engines harm our health, especially for people living close to highways? Early research is already suggesting the answer is yes. STEP is proud to be participating in a local study of this issue, run by the Tufts Community Research Center. The CAFEH (Community Assessment of Freeway Exposure and Health) study, among the first of its kind in the country, will measure ultrafine pollutants and collect and map heart disease data from residents – in Somerville and in Chinatown. Keep an eye on the CAFEH website. If you want to learn a whole lot more about this issue. a good place to start is the EPA Particulate Matter site. On April 2, Wig Zamore made a presentation to the EPA Clean Air Scientific Advisory Committee on transportation-related air pollution. The slides provide specific data on local communities and existing studies of the relationship between highway pollutants and health problems. Download the study (PDF or PowerPoint). The following presentations were given at the recent Conference of the International Society of Environmental Epidemiology and the International Society of Exposure Analysis (ISEE ISEA). Tufts University researchers and five Boston-area community groups (including STEP) received a 5-year, $2.5 million grant from the National Institutes of Health (NIH) to study the health effects of pollution exposure in neighborhoods adjacent to major highways. Sitting in traffic triples a person’s short-term heart-attack risk. Living in a city with heavy air pollution such as Los Angeles is as risky for the heart as being a former smoker. And having a house near a highway ups the risk of hardened arteries by some 60 percent. In each case, tiny “ultrafine” particles in the air may be a key culprit. A study from the Harvard School of Public Health found that kids who live in neighbourhoods with heavy traffic pollution have lower IQs and score worse on other tests of intelligence and memory than children who breathe cleaner air. Read more. 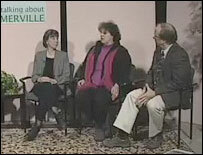 Ellin Reisner and Wig Zamore of STEP, along with Rep. Denise Provost, appeared on “Talking About Somerville” on Somerville Community Access Television in a talk about land use, transportation, and vehicle pollution. The engaging discussion was facilitated by Bob Nesson, also a member of STEP. STEP’s Wig Zamore spoke to the EPA’s Clean Air Scientific Advisory Committee and Particulate Matter (PM) Panel last Friday, where the topic was the proposed EPA framework for the next national PM standard setting process. Identification: My name is Wig Zamore. 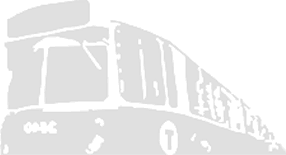 I speak as a concerned citizen and live in Somerville, Massachusetts where I work with two all volunteer community groups, the Mystic View Task Force and Somerville Transportation Equity Partnership. I also serve on regional land use and transportation planning committees, have presented to the Massachusetts Clean Air (SIP) Steering Committee and represent the City of Somerville on Mass DPH and FAA committees concerned with airport related emissions, health and noise impacts. Major PM Review Concern: My overwhelming concern is consideration of the impacts of large regional transportation systems on adjacent neighborhoods’ health, including but not limited to chronic mortality impacts from chronic obstructive pulmonary disease, ischemic heart disease and lung cancer. And how this gets into your framework as the methods for that are unclear. One of the big benefits of the Green Line is that it will reduce the impact of transportation-related health issues. Research is increasingly showing that being close to highways and diesel trains isn't exactly great for heart and lung health.